Mosquito & Pest Xperts understand that the reputation of your Restaurant is important to you, and important to your livelihood. What sets Mosquito & Pest Xperts apart from traditional Pest Control companies is that we offer a full suite of services that can Treat, Exterminate, and Prevent both Indoor and Outdoor Pests. Mosquito & Pest Xperts also offers green Pest Control solutions that will be harmful and preventative towards bugs, critters, and unwanted guests but not to your valuable patrons. As a restaurant owner, you understand that Pest Control isn’t a one time service. This is why Mosquito & Pest Xperts offers a complete prevention plan to keep your restaurant bug and pest free! 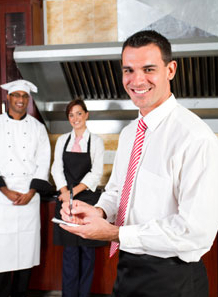 Once our service technician inspects your restaurant they will take comprehensive notes and itemize all areas of need. At the end of the inspection, he will then consult with you on the best plan of action to remedy any issues or infestations, and also how to stay on top of your Pest Control issue to prevent further Infestations. Keep Outdoor Dining Mosquito Free! 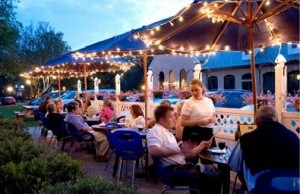 North Carolina and South Carolina Restaurants are known for their great food and great patios! Mosquito & Pest Xperts know that nothing can hurt a dining experience more than Mosquitoes and other unwanted flying insects! Mosquito & Pest Xperts will not only develop a targeted Pest Control Solution for your restaurant to maintain the integrity of your establishment, but our Mosquito Control Solutions, and Automated Misting Systems will keep your outdoor dining areas free of Mosquitoes, No-See-Ums, and other flying insects. Mosquito & Pest Xperts also offers Cooling Misting Systems to keep your outdoor dining areas cool and pleasant to ensure a premium experience at your restaurant! Our satisfaction is 100% guaranteed! Please contact Mosquito & Pest Xperts so that we may begin with a professional assessment of your restaurant today!